There are many dresses for weddings Northwest Illinois brides need to think of before saying “I Do.” Finding your wedding dress might be the first step, but bridesmaid dresses and specialty occasion dresses for your girls and a mother-of-the-bride dress for your proud mom also need to be found. In Northwest Illinois, where do you go to find your dream wedding gown, as well as multiple other dresses for weddings that go with your overall wedding look? Since 2011, Adore Bridal & Specialty has offered a wide variety of gowns starting at $1000. From big designer names, private labels exclusive to Adore and designs straight off the runway, our selection is comparable to none. Check out our Pinterest page to see virtually all the gowns we offer in our boutique, or schedule your appointment today. Our gowns, veils, bridal shoes and other wedding accessories can complete any wedding look. We have just as wide a variety of bridesmaid gowns and specialty occasion weddings, and we have something perfect for any wedding theme and season! How do you know Adore Bridal can help you find your dream dresses for your wedding? Some brides go from store to store trying on hundreds of dresses, but at Adore Bridal we are known for finding the dresses our brides Adore before they walk into our store! 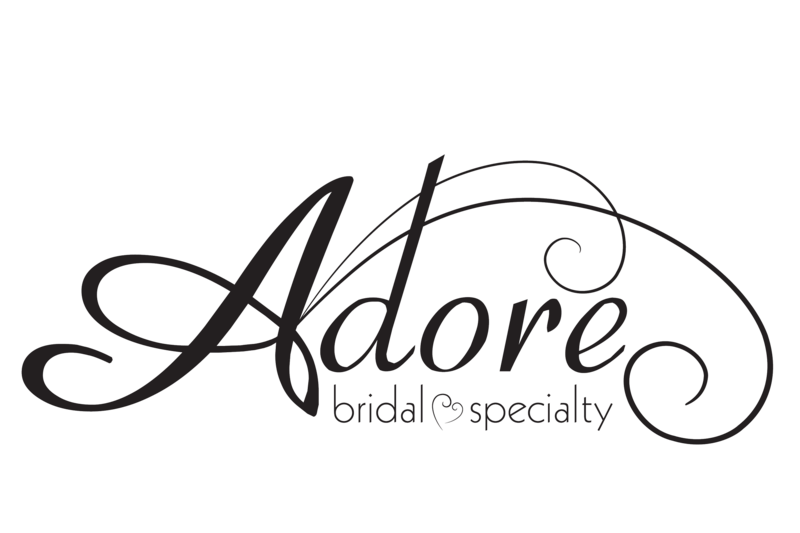 When you schedule an appointment with Adore Bridal, you are really scheduling an appointment with your own personal Adore stylist who will understand your dream wedding as well as you do. Our stylists connect with their brides before their appointments to get an idea of what they want. Then, your Adore stylist will go to work and pull styles that they think are perfect for you. Let our skilled staff treat you like royalty and accomplish our goal, which is to make your day the dream wedding you have always imagined. Contact us online or call 309-291-0838 to schedule your appointment today, and you won’t regret it! Since 2011, we have been providing dresses for weddings Northwest Illinois brides Adore, so let us do the same for you!